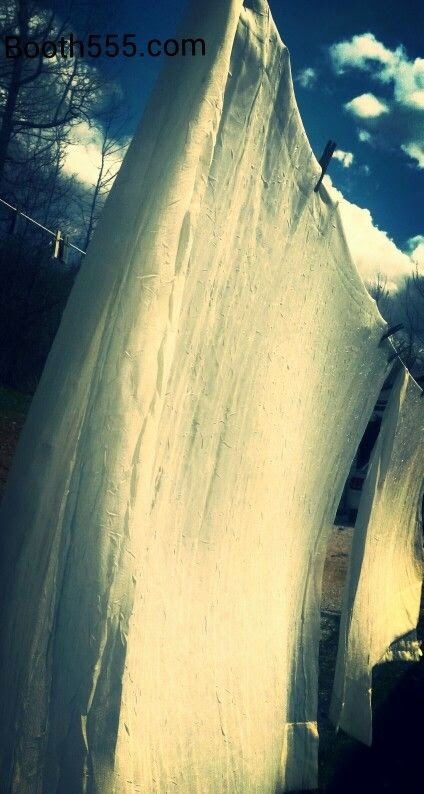 My curtains soaking up the hot sunshine yesterday. I've been finally getting a chance to get around in this "Blogland" lately and do some awesome reading and viewing. Here is my first little go of it with sharing five random photos. I took a walk around outside in the hot sun yesterday. It felt so good. I heard it got to 82* here in my lil part of the world! 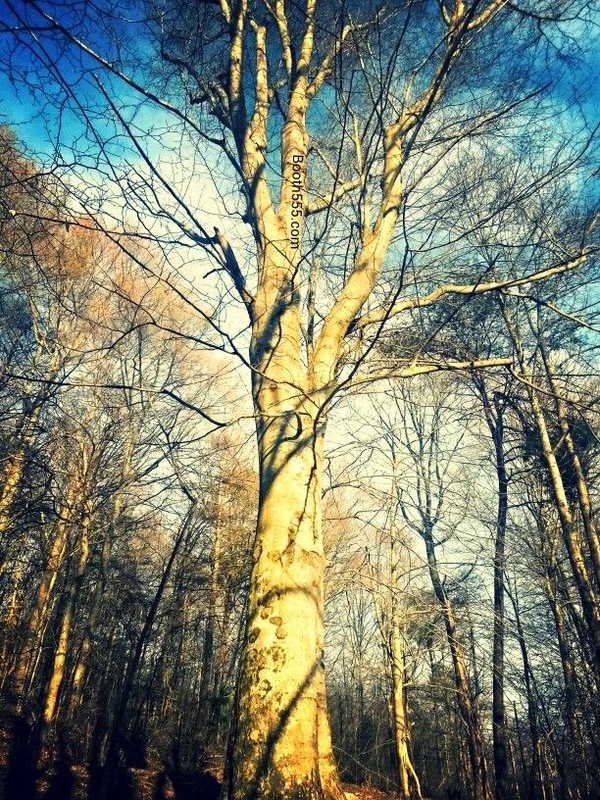 A beautiful, big ole tree up by our picnic area yesterday. Getting close to getting its leaves. 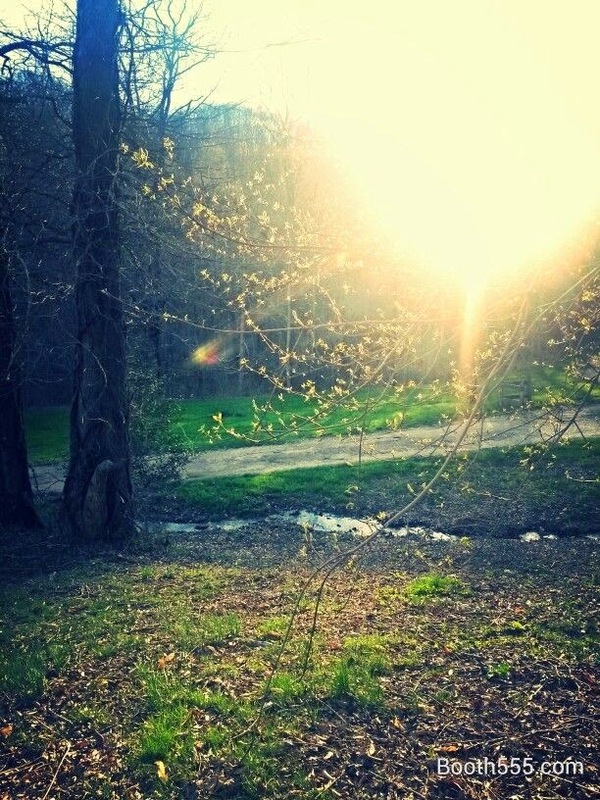 A little stream that goes beside my driveway looks so quaint in the sunset, yesterday. And here is a cute mason jar filled with Easter flowers brought to me by my nephew on Wednesday. And finally for my last of the five, is this cute little Momma groundhog. She was in our yard about two years ago when I got this photo. She use to stand like that for about 3 or 4 minutes before moving every time I'd see her out. Momma Groundhog who roams my little bit of American soil. 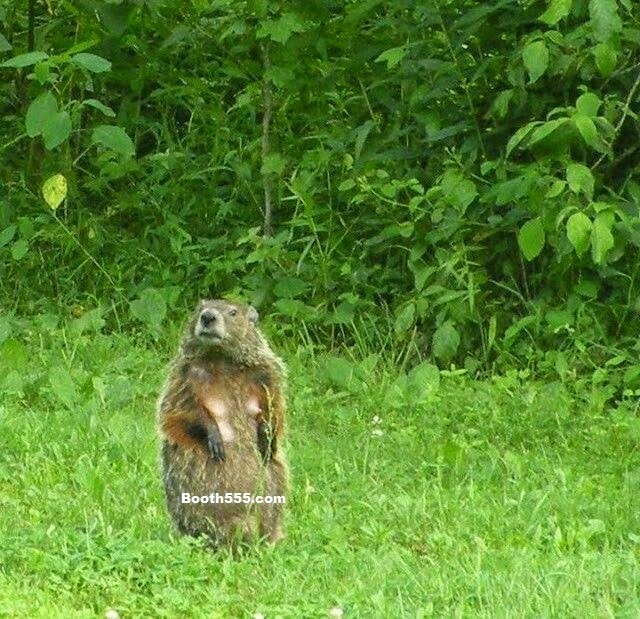 More photos of Momma Groundhog & her family found in my other post. Thank you for stopping by and for the nice comment. Hope you have a wonderful weekend as well! Thanks for sharing! It's fun to see your part of the world! You're welcome Christine. It's a really fun theme for a Friday. Already thinking of what I can snap photos of for next week. Thank you. I love watching her. Sometimes she sits in the bench under my flower trellis. So cute! Awesome collection of images.. I love the sunlight on the trees. 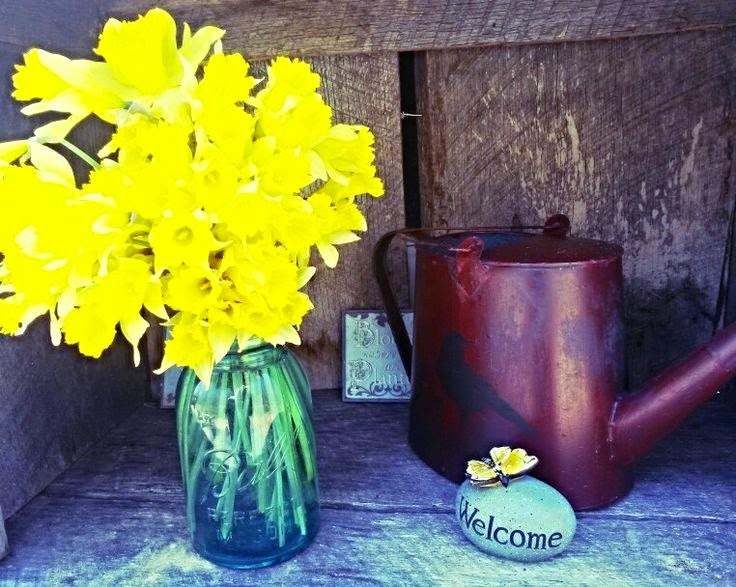 And the pretty daffies.. The groundhog is cute! Have a happy day! Thank you. The sunlight makes for some pretty pics! I do like that shot of the groundhog - I'd like to see some one day.